When Is a High-Protein Diet Right for You? The family holiday, along with Christmas and birthdays, belong to the most beautiful events of the year. It means to escape from everyday life and spend some intense time in another place together. 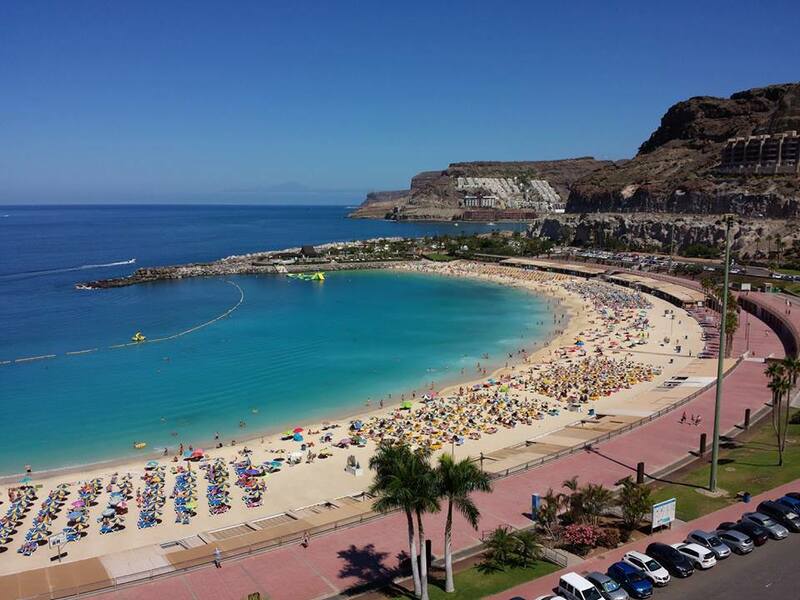 Gran Canaria is an ideal holiday destination for families with kids. You arrive in southern climes with good-weather-guarantee, pleasant temperatures and sandy beaches just within under five hours flight time. Innumerable hotels specialized in families and offer children's entertainment and daycare, so that the little ones can have great fun. The Palmitos Park is an animal park and a botanical garden at the same time. It is located in Maspalomas in the south of the island slightly inland, but still very easy to reach by public bus. Visitors will find a big range of attractions here. Kids can explore a new world on intricate paths in adventurous, tropical jungle sceneries. They will discover new things everywhere. Surrounded by parrots, birds of prey, reptiles and dolphins, they will feel like being in an adventure world. In the Dolphinarium you can experience the marine mammals up close. There is also a bird of prey show and a huge aquarium. Who hasn’t seen the images on TV of dolphins or whales swimming in groups in their natural habitat? Many people wish to experience this first hand. In Gran Canaria you will have the possibility to do so. Ships set off to search for dolphins and whales daily. 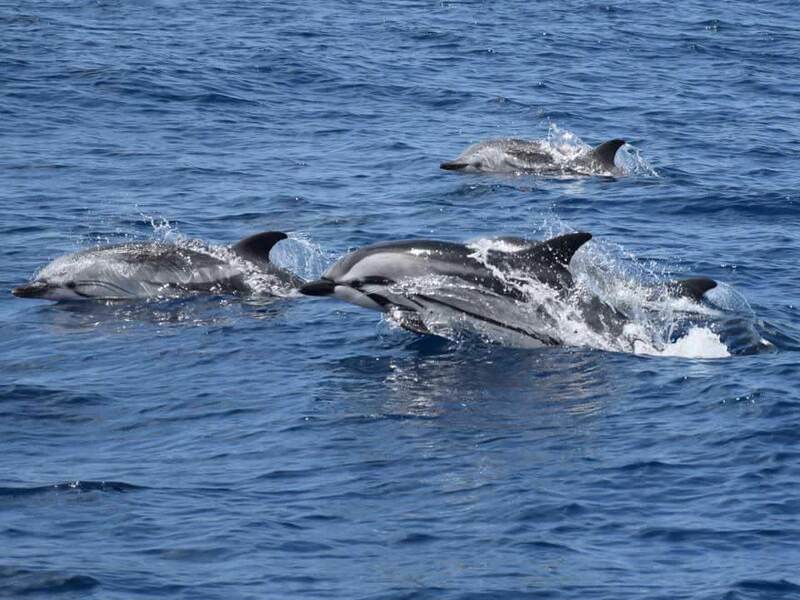 The Atlantic Ocean around the Canary Islands is home to many dolphins and a whale passageway. Just imagine the faces of your little ones seeing mighty whale fin flinging out of the water. Or how they rejoice and marvel when dolphins perform their tricks around the boat. The Government of Canary Islands sets clear and tight rules for the excursion operators. Consequently they may only approach the marine mammals at a certain distance. Interaction and getting closer to the boat is then only dependent on the desire and the mood of the impressive sea creatures. On Gran Canaria, children may ride on their own horse on an excursion starting from the age of five. Well trained and experienced riding instructors accompany families on their little adventure into nature and the mountains of Gran Canaria. It does not matter if they are experienced rider or if it is your first time. There are suitable horses for every rider and every age. One thing is guaranteed: it will make the kids happy. In the rather tranquil town Arucas, in the north of the island there is a climbing park for young and old. The smallest vacationers can plunge into their great adventure from the age of four. The mini climbers will have a lot of fun sliding a rope slide of six meters length. The elderly have the opportunity to swing up to dizzying heights of up to 11 meters. Climbing walls and a rope slide of 120 meters length will also make this event perfect for parents too. And as safety comes first installations are equipped with fishing nets where necessary and the climbers are always secured with ropes. The little ones are supervised by trained staff at all times. Something motorized must not be missing in the list of course. 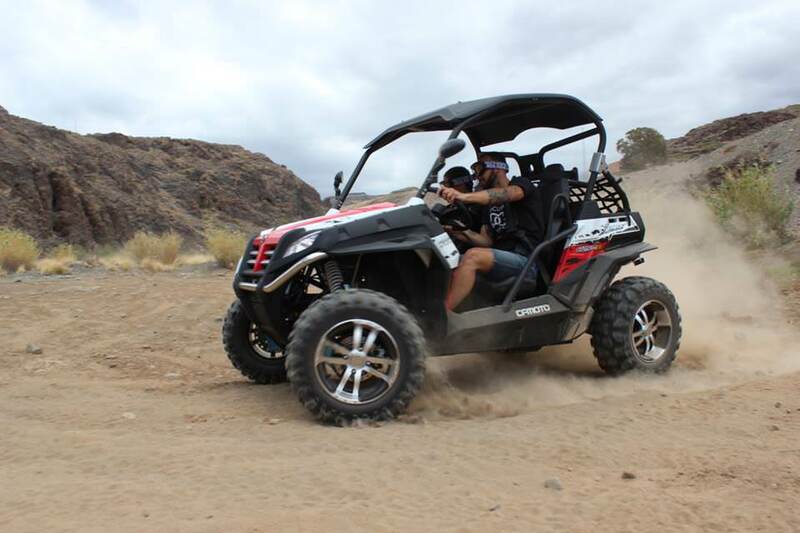 Pure action is inevitable on these two-seated, dust-producing vehicles. Young family member, without a driver's license, have the opportunity to cheer their parental driver to more adventurousness and spinning wheels on the co-driver’s seat. An absolute must on Gran Canaria. Snorkeling in the shallower, but no less fascinating waters near the beach is suitable for all ages. The underwater world around Gran Canaria is equally colorful and diverse. You can observe rays, sea urchins, small octopi and tons of fish. Diving schools offer snorkeling trips. They provide trained professionals with very good equipment, experience and knowledge of the best snorkeling spots. This is certainly one of the most beautiful experiences that you can have as a family. Canyoning is still rather unknown as a recreational sport. But in recent years, it is getting more and more popular. On Gran Canaria Canyoning trips are being offered for small groups only. It does not matter whether you are already experienced or not. Children from the age of 12 can join this adventure. Off it goes down into deep gorges always following the watercourse on a secured rope. It does happen that you descent along a waterfall. A wet experience, adrenaline packed providing a sense of achievement that makes the family grow more closely together. Have you ever dreamt of floating through the air like Superman, feeling the wind stream and let the heights tickle the end of your nerves? A kind of parachute is attached to a boat with a rope. Due to the acceleration and the speed of the boat, the chute is being lifted in the air. Up to three people can be pulled up with one parasail and see Gran Canaria from up to 200 meters high. Children can participate from the age of seven years. The computer game has achieved world-wide fame. Nowadays, you can meet the "angry birds" in form of family parks. Puerto Rico, located in the southwest of the island, is always worth a visit. 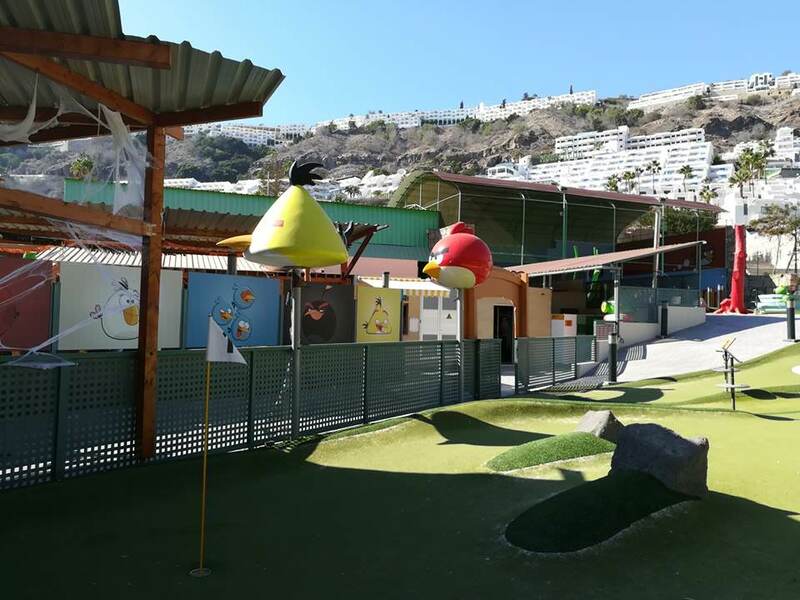 Visiting the Angry Birds Park is highly recommended especially for families with small kids. The little ones will be busy with the different activities and will have a lot of fun. And also the big ones are invited to participate in there. Loro Park is the second best zoo in the world according to Tripadvisor. It is home to parrots, dolphins, orcas, tigers, gorillas, sharks, penguins and many more animals. The environment is largely adapted to the natural habitat of the animals kept there. The only downside with this park is that it is located in Tenerife and not in Gran Canaria. But it isn’t really a problem as you can reach the neighboring island very fast by ferry. It is recommendable to book an all-around carefree package via a bus trip. Everything is organized for the participants and no one has to worry about anything. This will be an exciting day for the little ones and the adults.